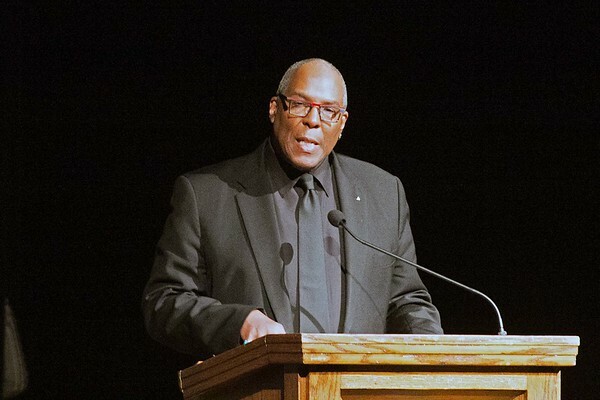 Keynote speaker D. Brainerd Blyden-Taylor delivers his message of love to the audience at Thursday's Rev. Dr. Martin Luther King Jr. Community Celebration at NIagara Falls High School. He is the founder, artistic director and conductor of The Nathaniel Dett Chorale.